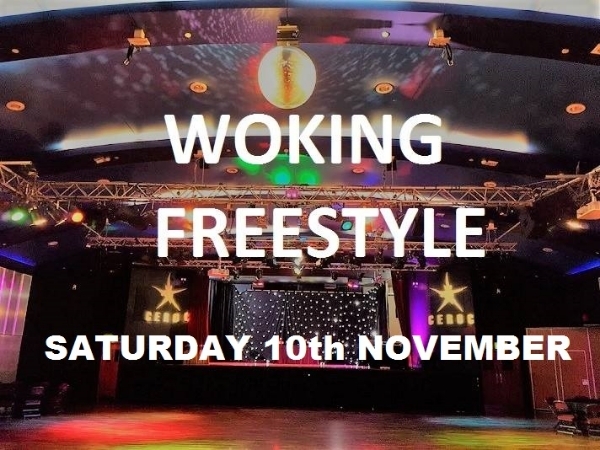 Come and join us for a fantastic night of dancing in one of the very best venue in Surrey. Large Car Park, Massive Dance Floor, Licensed bar, Amazing Air Conditioning. Freestyle until MIDNIGHT. 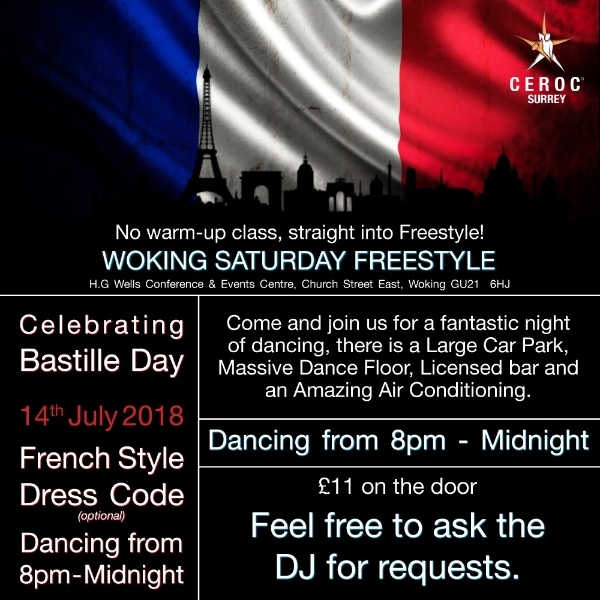 As it is the 14th July the theme for Woking has to be French (optional of course). 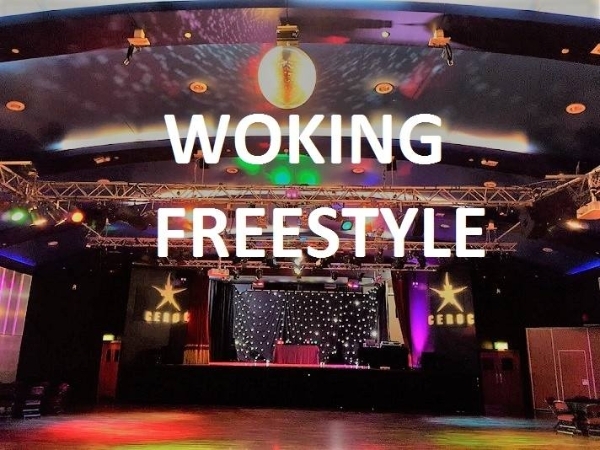 Click Ceroc Freestyle for more information or call us on 07938 520696.
https://www.ceroc.com/30/1182/woking-saturday-freestyleCome and join us for a fantastic night of dancing in one of the very best venue in Surrey. 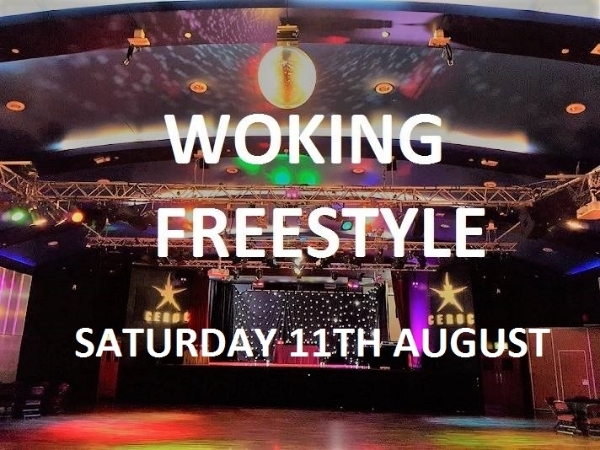 Large Car Park, Massive Dance Floor, Licensed bar, Amazing Air Conditioning. Freestyle until MIDNIGHT. 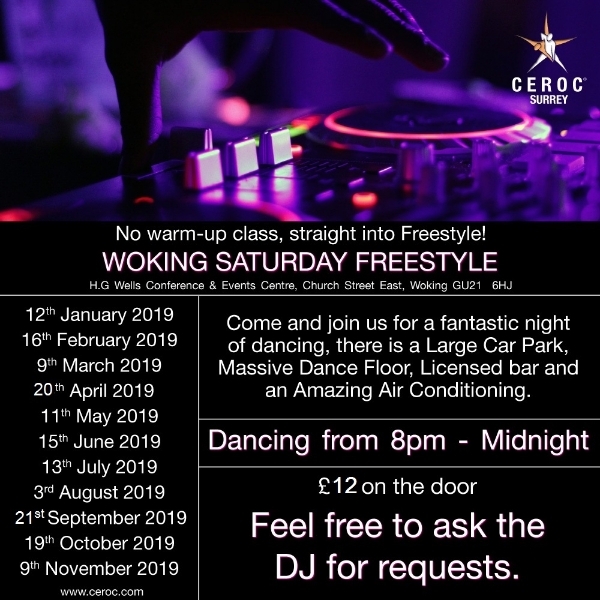 Click Ceroc Freestyle for more information. Would you like rapidly improve your dancing. If so we have on SUNDAY 21st JANUARY from 1.00pm - 5pm at West Clandon Village Hall GU4 7TE a BEGINNERS PART 2 (Part1 or Part 2 can be done in reverse order). We ensure each workshop is gender balanced so you do not need to book with a partner to attend. All workshop must be booked in advance and cost £35.00 per person. 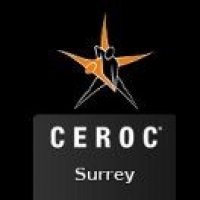 To book please go to http://www.cerocsurrey.co.uk / diary. SUNDAY 28th January we have spaces left for our Intermediate Part 1 workshop at West Clandon Village Hall GU4 7TE 1-4pm. The cost is £35.00 per person. Part 1 and 2 can be done in reverse order. If you have done a minimum of 8 Beginner and 2 Intermediate classes and feel that you want to learn a batch of the essential intermediate moves in detail or maybe you have been doing the class for a while and would like to refresh what you already know then attending our Intermediate workshop would be a great benefit to your dancing. 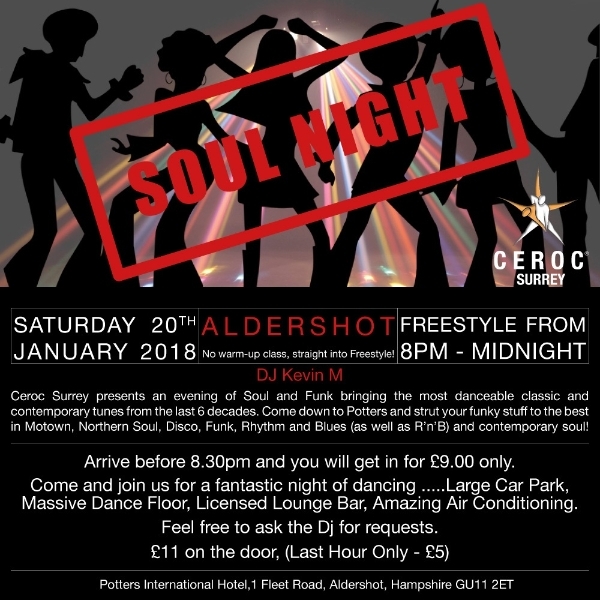 SATURDAY 20th JANUARY at ALDERSHOT it is Ceroc Surrey s Big Saturday Night Freestyle! As requested from many of you we are bringing back an evening of Soul and Funk bringing the most danceable classic and contemporary tunes from the last 6 decades. Come down to Potter and strut your funky stuff to the best in Motown...Northern Soul...Disco...Funk...Rhythm and Blues (as well as R n B) and contemporary soul! A Freestyle not to be missed. Come along for lots of fun...dancing and of course it would not be the same without some truly scrumptious cake served with tea or coffee. Come along and join us for a fantastic night of dancing and see this amazing venue. There is a large wooden sprung floor...licensed private lounge bar and free parking. 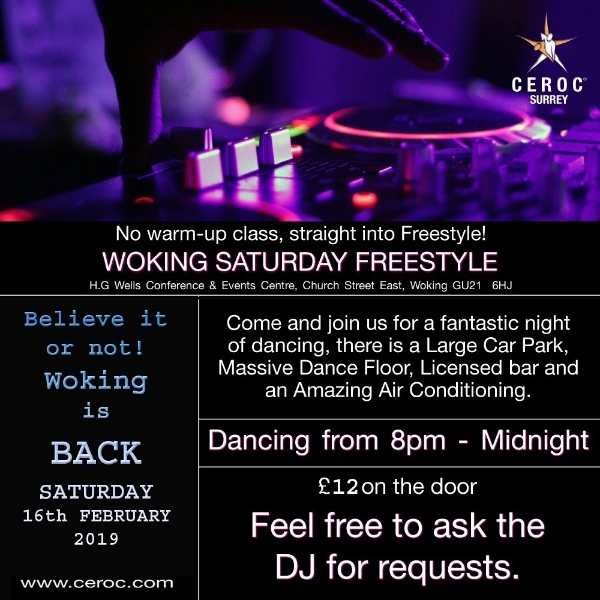 Saturday 13th January it is CEROC SURREY s Big Saturday Night Freestyle at Woking. Come and join us to this amazing venue and to make it even more special everyone coming before 8.30 pm will have to pay £9.00 ONLY. Additionaly bring your ideas along for music requests!